Week 7 begins where the season initially started off, Ben's hometown of Warsaw, Indiana. It's a quaint Midwestern town- "the perfect place to raise a family." Ben is seen driving around in, surprise, a classic red pickup truck... because you can't possibly cruise the streets of Warsaw in something basic like a Chevy Suburban. I grew up around classic cars and can appreciate the imagery of nostalgia but the producers have really taken this old timey car thing to another level. Ben arrives at a local diner with a sign outside that reads, "No, we do not have Wi-Fi, talk to each other!" Ah, those Midwestern values run deep. Momma and Poppa Higgins are waiting inside. Ben greets his parents and catches them up on the remaining women. Becca- She has a good side that Ben can't get enough of but last week she came across as standoffish during the piggie island excursion. JoJo- Described by Ben as unbelievably beautiful. He's able to be himself around her more than any of the others. Emily- The identical twin who he still has questions about. Lauren- There's something about her that has stood out to Ben since the beginning. 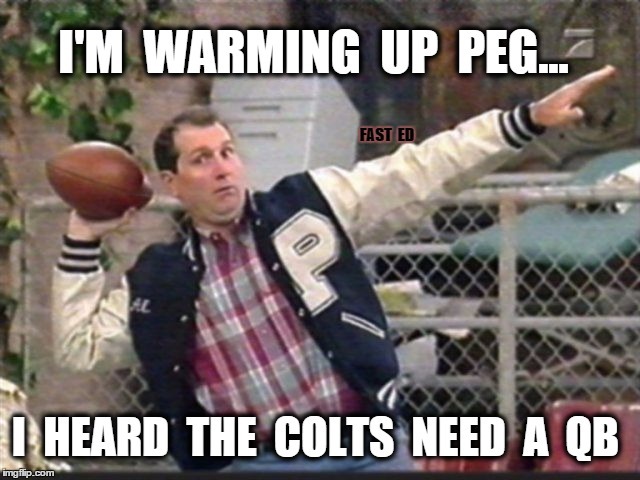 He's interested to see how their relationship will progress this week. Caila- Beautiful but has a fear of being unable to fall in love. Amanda- Ben says that she is "shockingly" beautiful with 2 little girls from a past marriage. Momma Higgins doesn't seem thrilled by the news but Ben assures her that Amanda is an incredible woman. When Ben's time with his parents elapses, he heads out on the lake to greet the women who are waiting for him on a nearby dock. Caila can't contain her excitement as she nearly kills herself by lunging toward the boat. Maybe she is so overcome by her fear of falling in love that this was actually a cry for help. Inside the lakeside rental, Ben tells the women that Lauren will be the recipient of the first 1-on-1 date. With "hometowns" looming, Lauren is relieved as she feels that she needs more reassurance before introducing Ben to her family. She only has 30 minutes to get ready; that's half the amount of time that they're usually given. Things are getting serious! Lauren looks like she's already dressed and ready to go but she tells the other women that she might need help primping. Hmmm... would you trust the 5 other women who are vying for your boyfriend to do your makeup before a big date? 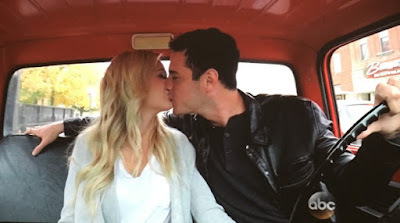 Ben takes Lauren in the red pickup truck around his Indiana hometown. Maybe it's the lighting but I swear one of her eyes has makeup that is darker than the other. Ben is quick to show her all of his favorite places. He's still talking about high school and how he was the star player on his football team. We get it, Al. The tour culminates at a youth center where Ben used to work. The kids are all sweet and well-behaved. They seem genuinely happy to have Ben and Lauren join them for their after-school activities. Lauren is "starstruck" when the Indiana Pacers show up to entertain the group. The pro-ballers and mascot are all fine and dandy but one of the kids in the program, Ronnie, a basketball savant, locally referred to as "The Half-Court King", is the real star of the show. Unfortunately, I was unable to locate a GIF of Ronnie sinking his big half-court shot. Ben comforts a smaller kid who is crying. 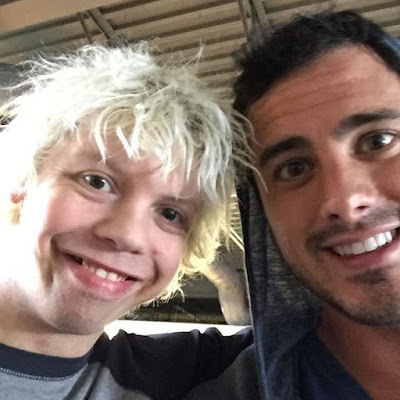 Ben is always going out of his way to show America how wholesome and respectful he is. If he were a Republican Presidential candidate, you'd expect some explicit photos to leak at any moment. A scandal is never far away from someone who tries so hard to come across as good. Lauren says her cheeks hurt from smiling. She's swooning over Ben and can see that he'd make the best Dad ever. Back at the lake house, JoJo learns that she will be getting the next 1-on-1 with Ben. "Let's find love in the windy city." She's relieved as this indicates she's most likely in second place. As evening sets, Ben takes Lauren back to his place. It's unclear whether this is a temporary residence that the show staged or if he really has a home in both Denver and Warsaw. Ben never really mentions his career but the show lists him as some sort of software sales dude. The two discuss trust and seem to grow closer. They end up at a local dive bar and hang out with what is presumed to be Ben's friends from his hometown. Lauren is happy and says that she has experienced a relationship breakthrough. "I learned today that I'm not in love with Ben the bachelor. I'm in love with Ben from Warsaw, Indiana." The next day, Ben is ready to meet one of his other girlfriends in Chicago. 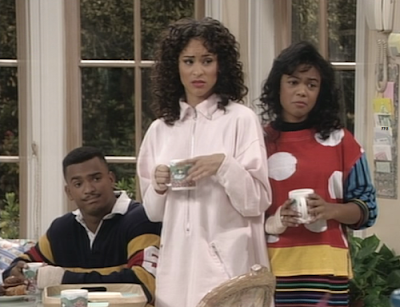 "It's endearing to me that JoJo doesn't know how much I like her." I wonder if it's endearing that Lauren doesn't realize it either. The producers have set up the couple with a date at one of Ben's favorite places, Wrigley Field. 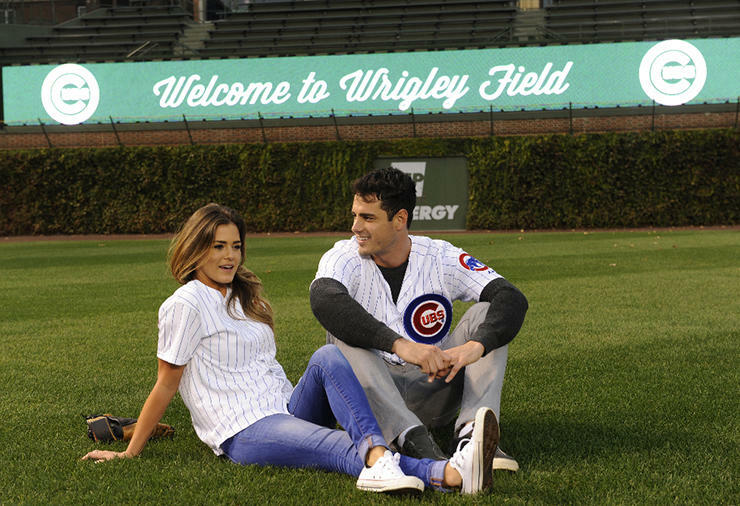 When Ben and JoJo get inside the baseball stadium, they are met with a pair of Cubs' jerseys with a very premature embroidery stitched on the back, "Mr. Higgins and Mrs. Higgins." If Ben doesn't plan to propose to JoJo, that's a pretty cruel thing to do but I wouldn't put it past this batch of producers. The sky over Chicago is grey and rain is approaching. I have a flashback to the Lollapalooza storm of 2012. As JoJo frolics on the field with Ben, she says that she needs to feel safe in a relationship. As for feeling safe, maybe avoid getting struck by lightning? She tells a producer type that she's terrified of falling in love because she likes Ben so much. After the inevitable storm passes, dinner is had on the field. Ben questions "to what extent" JoJo's feelings actually are. She says that she's "scared but not too scared to fall." They playfully refer to each other by their jersey monikers, "Mr. Higgins and Mrs. Higgins." A new day. A new batch of women. Caila, Becca and Amanda will be joining Ben on an awkward 3-on-1 date. The group will be spending the afternoon on a farm. They row boats on a pond. Caila, who has already had two solo dates, including one on another type of boat, gets to be with Ben. Becca and Amanda are left witnessing a real life scene from The Notebook. When the rowing loses its appeal, the trio flies kites. Amanda, thinking that she left her kids back home to avoid these types of activities, is bored and hoping for more. The group makes their way to a well-decorated barn where a single rose sits on a barrel of hay makeshift table. The rose will not only indicate that the woman will progress to hometown dates next week but she will also get to stay alone with Ben for the remainder of the date night. Each woman has time to chat with Ben. Caila worries that because she moved 17 times before college that she doesn't have the stability roots to keep Ben interested. That explains the Cleveland thing and so much more about Caila. Becca fears that she likes Ben more than he is into her. She asks that whatever he decides, that he doesn't throw her any curve balls. 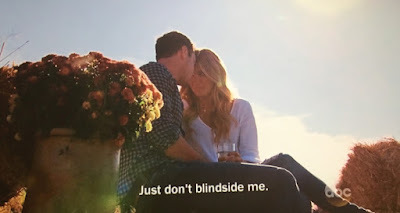 Ultimately, Ben gives the rose to Amanda. He feels that she needs the extra reassurance before introducing him to her children. Becca, the virgin, who definitely does not have any kids back home, thinks it's not fair to bestow someone with a rose just because they are a parent. She says that her family is important, too. It really isn't fair but neither is life. I finally agree with Becca on something. When Becca and Caila arrive back to the lake house, they inform the other women that Amanda is spending the rest of the date with Ben and will be moving on to hometowns. Becca is in tears and crying about not getting enough validation. JoJo drops the v word as well. "How can you give someone that much validation?" Validation. Validation. Validation. Everyone wants it. No one is getting enough. 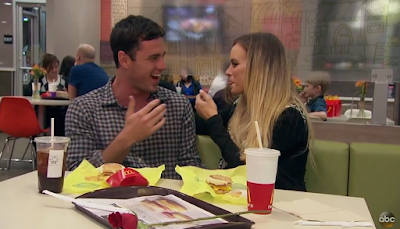 For the evening portion of their date, Ben takes Amanda to McDonald's in what should easily qualify as the most obvious plug in reality television history. Amanda feigns interest as her date escorts her behind the velvet ropes of the golden arches to work the drive-thru. What a dream come true. But in all seriousness, if you're with someone you're falling for, any date is magical. If you're doing the math at home, someone still hasn't had a date and that lucky lady is Emily. Ben will be taking her on a very special 1-on-1 date to meet his parents. It's only fair since she introduced him to her Mom back in Las Vegas. Emily (23-years-old with 0 life experience) says that she's ready to forget about her twin sister move from Vegas to small-town Indiana to "start making babies" with Ben. Emily is overcome with joy as Ben takes her out on the boat. She asks if the large birds in the water are swans. Emily's invitation to join Mensa must have been lost in the mail. When the couple arrive at the Higgins house, Emily is all over the place. She's anxious, bubbly and talkative. Em goes on and on about not traveling at all in her life and being so impressed by Warsaw, Indiana. "We don't have ducks in Las Vegas." She already forgot that they were swans. Ben's Mom, Amy, pulls Emily aside for a private chat to learn about her deepest desires and hopes for the future. Emily shares that her greatest ambition is to be an NFL cheerleader. Listen, I cheered for over 10 years and I still miss it but there comes a time when you should maybe aim for something more ambitious long-term. She thinks further down the road. "I know that I'd be an above-average wife and mother." Ben's Mom hates her. "She's a young, fun, excited individual," she relays to a producer. When Dave Higgins has time to speak with Emily, she truly shines. When asked what she'd like to do with her life, she says with a coy smile that she'd like to sit around and watch movies all day. "Okay," says Ben's Dad. Amy and Dave can't believe that Ben has brought this girl home. His Mom is in tears at the mere thought of this woman raising her future grandchildren. "Is she mature enough?" Amy is one of those people who pronounces the word "mature" as ma-tour so you know that she's serious. As the meeting wraps up, Emily is shocked that the boat appears to be heading toward the lake house. It's only been about an hour. "You're not taking me home are you?" Emily asks, worried. She was hoping for a magical fantasy date like the other women but there will be no Wrigley Field or McDonald's in her future. Ben is honest and firm with the twin. "I don't think I could see you being my wife." Ouch. "I don't see the next step for us." 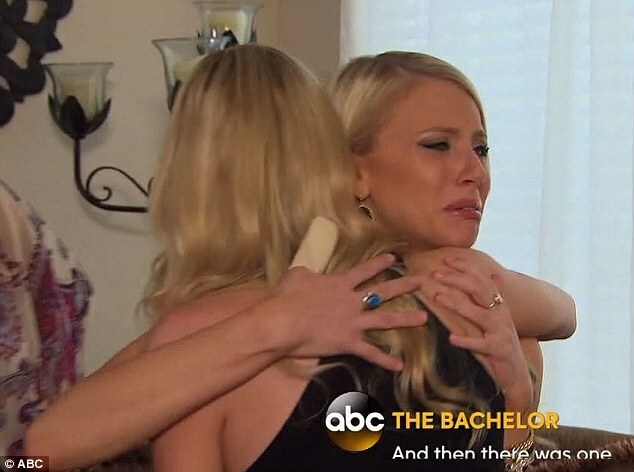 Emily is in tears as she says her goodbyes to the bachelor. When she makes her way into house, she tells the other women that her date ended prematurely and she will be going home. "I'll always wonder what he didn't see in me." The rose ceremony takes place in the town square. Ben says that he doesn't know what he's going to do. He figures it out rather quickly. Lauren, JoJo and Caila are given roses which symbolize an invite for the ladies to introduce Ben to their families. Becca's only request was not met. She is blindsided. She didn't want to be put through the embarrassment of a rose ceremony if Ben knew that they weren't suited for each other. Ben claims he didn't know what to do until the very last moment. Mmmhmm... Becca hears Ben out and finally agrees that she'd rather he end it now before families get involved and things become more intense.